2x Champ, Top 2% Black Herdsire! ARE YOU BREEDING TO THE TOP 2%?... You can also breed lasting fineness into your herd! Now is your chance to co-own this fantastic male! Please call to discuss terms of a co-ownership of Fleecy Dale Panther. 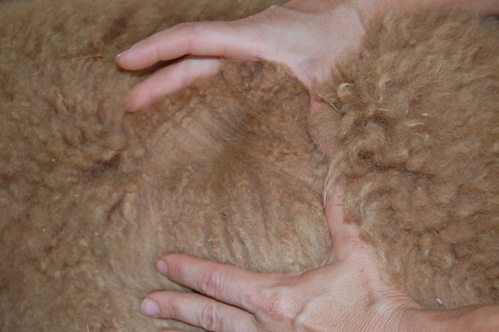 Paris' fleece is FANTASTIC....buttery fine, crimpy, and bright. 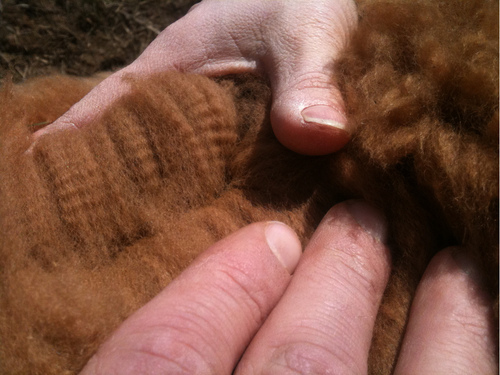 Probably one of the best handling fleeces on the farm. She has good capacity and delivers without any intervention. 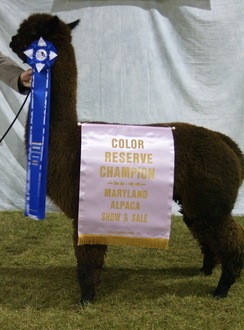 Her sire is our very own 2-time black champion, Fleecy Dale Panther! 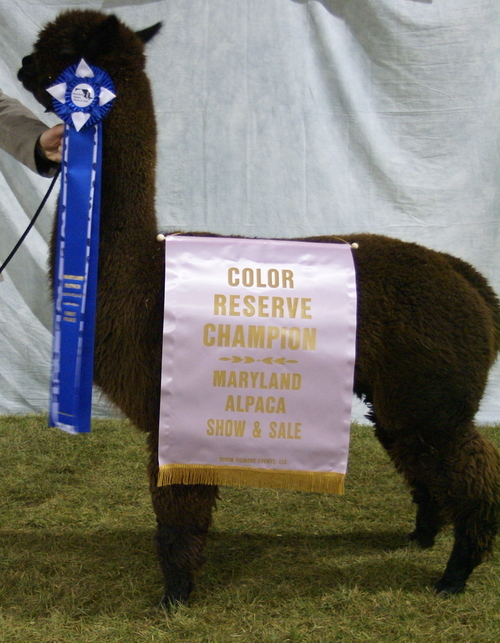 And her extremely cute dam comes from a long line of notable genetics: Grand River Belvedere, 2006 Reserve Herdsire of the Year - Dark Shaddow, 4 Peruvian Altiplano Gold, 4 Peruvian Kenamori Gold! 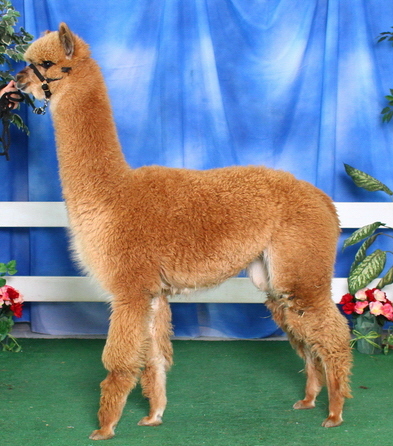 Her sire hails from 6 Peruvian Romantico and 5 Peruvian Cocha!! 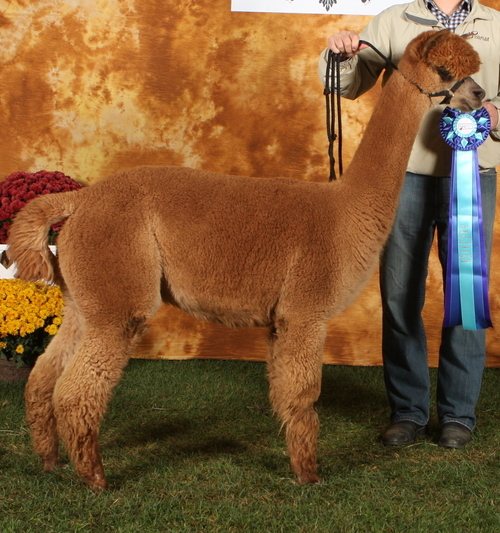 Her paternal sister is Champion Panther's Pride and her paternal brother is blue ribbon winner, Perfect Storm. 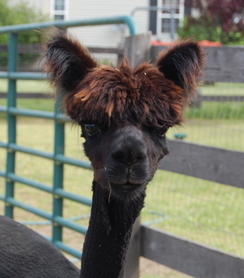 Paris is a recessive black female and would be just as good bred to black as she would a light color. 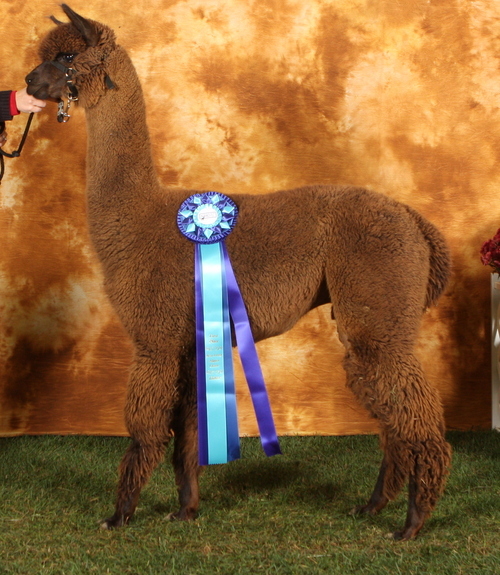 For her first breeding we chose our Snowmass Midnight Magic cross with Accoyo Express, Brookhollow's Midnight Express, who is Full Peruvian, 1/2 Accoyo and a 2-time Color Res. Champion! This combination has produced a true black beauty we call "Ooh La La". She has piled the fleece on this Royal Baby fine girl. She has a well balanced frame and the typey head we expect from both Panther and Midnight Express. Look at these genetics - Reserve Herdsire of the Year, Champion Males, Champion Siblings = Stacking the Deck in Your Favor.